This weekend should be no different, with the NXT TakeOver: Phoenix card set to take place inside the Talking Stick Resort Arena the night before the Royal Rumble. 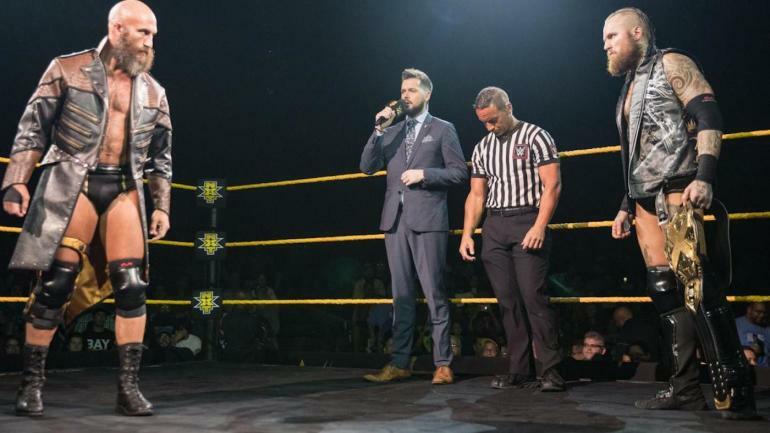 The main event for the card has already been announced, as Tommaso Ciampa will be defending his NXT championship against the man that he took it from last year, Aleister Black. Listen to our audio preview of NXT TakeOver: Phoenix from the State of Combat with Brian Campbell podcast, and be sure to subscribe at the link in the player below. This matchup is intriguing because NXT may not want to take the championship from Baszler just yet, but at the same time, Belair's undefeated streak has been one of the featured stories on weekly television for months. That said, the easy out here is likely Belair losing due to Jessamyn Duke and Marina Shafir shenanigans to protect the legitimacy of her streak. Hanson & Rowe came close to taking the tag tiles from Kyle O'Reilly & Roderick Strong once before, but now they'll look to finish the job completely on one of the biggest stages of the entire year. WWE Announces Chronicle Special On Paige And Her RetirementWrestling Inc.